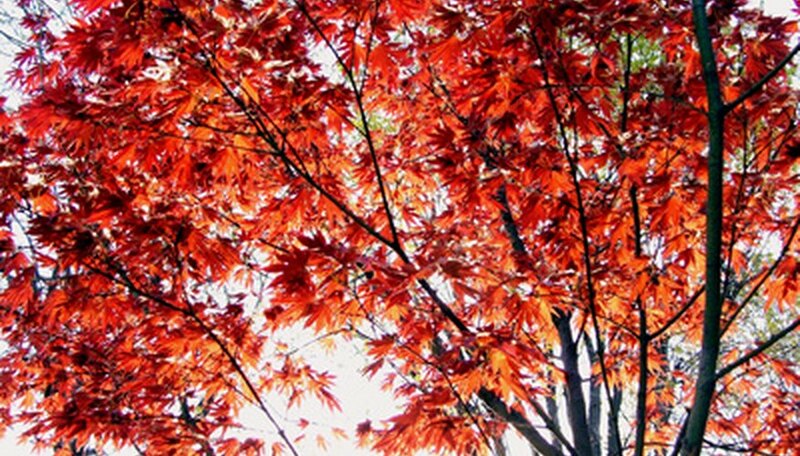 The maple tree family, or Aceraceae, is a family of more than 700 deciduous trees and shrubs. This hardy family is sun-loving, and each displays colorful and showy fall colors. Most members of this family are relatively disease and pest free. However, there are several trunk rot diseases in which most, if not all, of the maple family members are susceptible. Heart rot is a passive fungal disease that is caused by a collection of varying fungi. The fungus is found on dead and decaying debris and old stumps. These fungal spores are unable to penetrate the healthy bark of the maple tree and, instead, infect the tree through its open wounds. Targeted wounds include the pruning and cultivation scars. The infection results in a progressive decay of the trunk’s interior tissue. Infected trees may also develop mushroom growth around the base of the tree, a true sign of fungal infection. There is no cure or treatment for heart rot. Severely infected trees will become unstable and should be removed and destroyed. Tree stumps should also be removed to prevent further outbreak. Shoestring root rot, formally known as armillaria root rot, is a soil-borne fungal disease. The maple family is commonly infected by this disease. The shoestring fungal spores prey on weakened maple trees that have been stressed by severe weather conditions, such as excessive heat and drought, poor drainage and wet feet, frost, and lack of sunlight. The disease infects the maple tree through its root-weakened root system and kills the tree’s feeder roots. Infected maple trees experience yellowing and discoloration of their foliage, loss of vigor, dieback and premature defoliation. Smaller maple trees will succumb to the disease much quicker than larger maple trees. Shoestring root rot can be prevented by maintaining the maple tree’s vigorous growth and keeping its area free of defoliated and decayed debris. Chemical treatments are not recommended for infected trees, as explained by the University of Illinois Integrated Pest Management. Brown cubical rot is a predatory fungal disease that is soil-borne. The disease preys on maple trees that have suffered injury to their root systems. The fungus attacks the root system and low part of the trunk, initially causing a slightly yellow discoloration. Infected maple trees also develop fungal conks around the base of the tree. Rather than decaying, the heartwood of the infected maple tree breaks into cubes as it becomes brittle. Like many trunk rot diseases, there is no cure or treatment for brown cubical rot. Severely infected maple trees must be removed to prevent possible collapse of the tree.